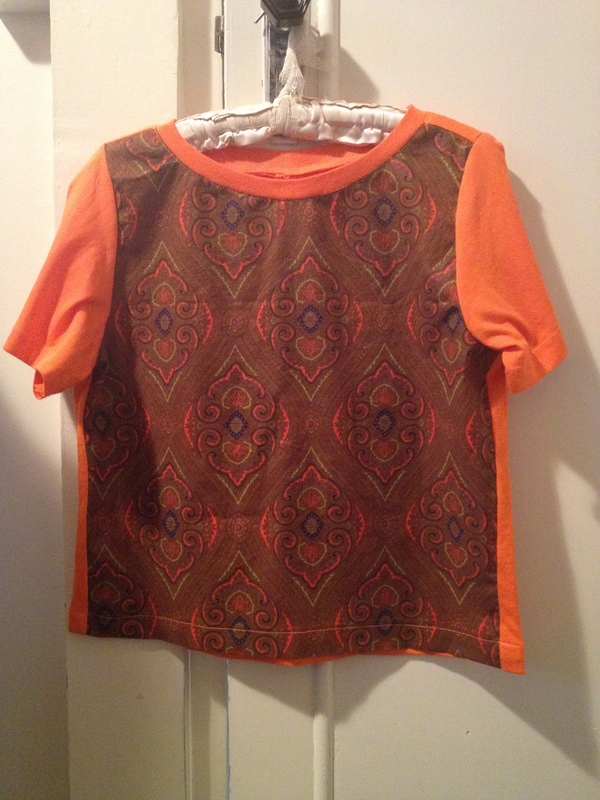 Recently I have made two self-drafted t-shirts from leftover fabric combinations from other projects. One t-shirt was for me, another was a VERY belated birthday present for a good friend. You may recognise the fabric in this tee from this skirt I made last year. 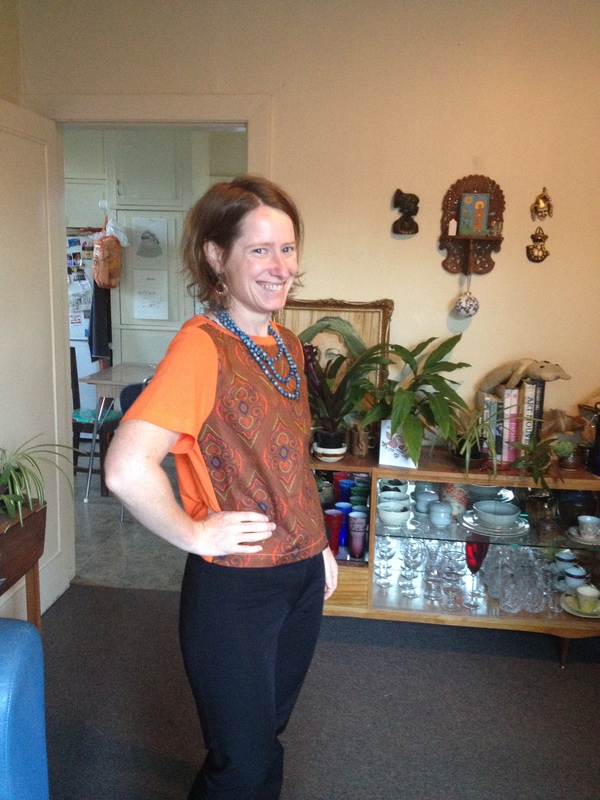 I love the fact that I used the sleeves and the neck binding pretty much as is from the second hand t-shirt I bought to go with the paisley when I made the skirt. 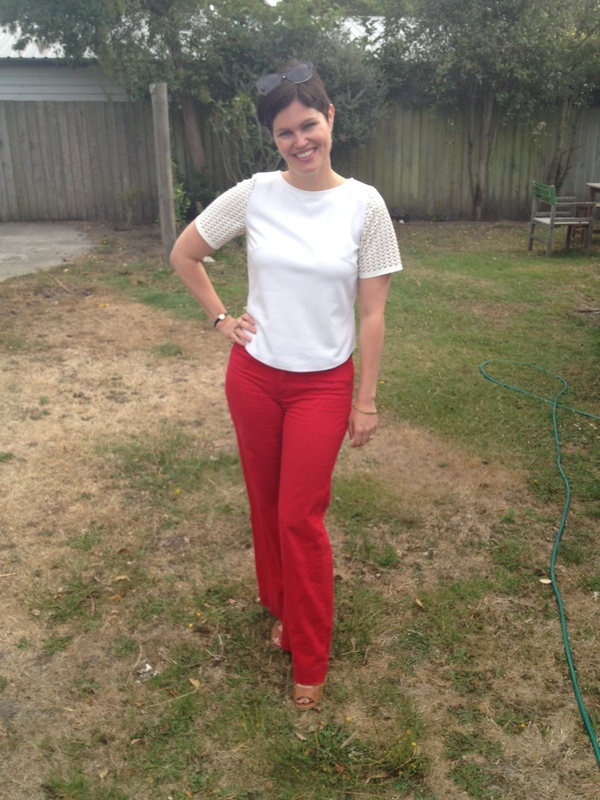 I also love how happy my lovely friend Sophia looks wearing it! She was so excited it was finished she picked it up at 7.30am. I was not anywhere near as presentable at that time of the morning. It’s really easy to wear, comfy, yet smart enough for work. The perfect crime! I’ve loved how satisfying it is to use up leftover fabric on these two projects.